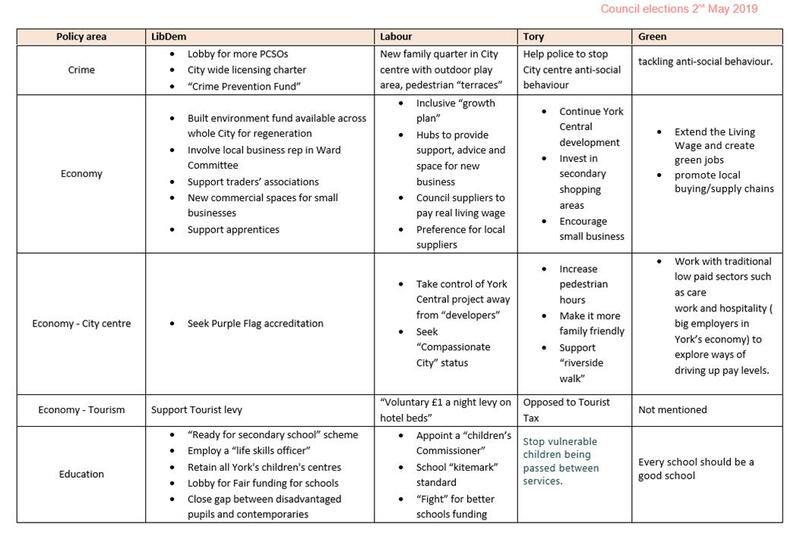 Steve Galloway | A Liberal Democrat view of life in the City of York. This website is edited by Steve Galloway who represented the Westfield area on the City of York Council between 1973 and 2011. 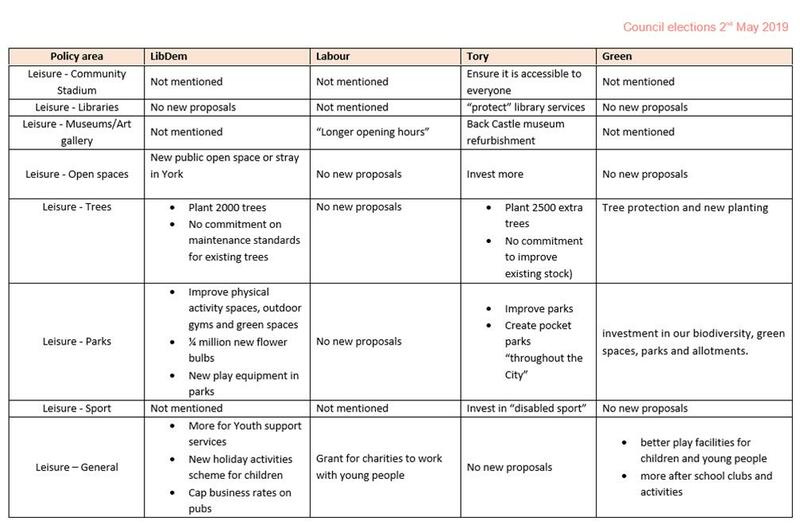 Things are less promising for informal sport and open space provision. Playing fields in west York are being built on. Outdoor games areas are being closed and bowling greens lost. All parties are promising to plant more trees, although none yet recognise that more needs to be invested in maintaining existing tree stocks. Rather belatedly, the adverse impact of the cuts made to youth provision 7 years ago, are being recognised. All parties promise to do more to entertain teenagers. 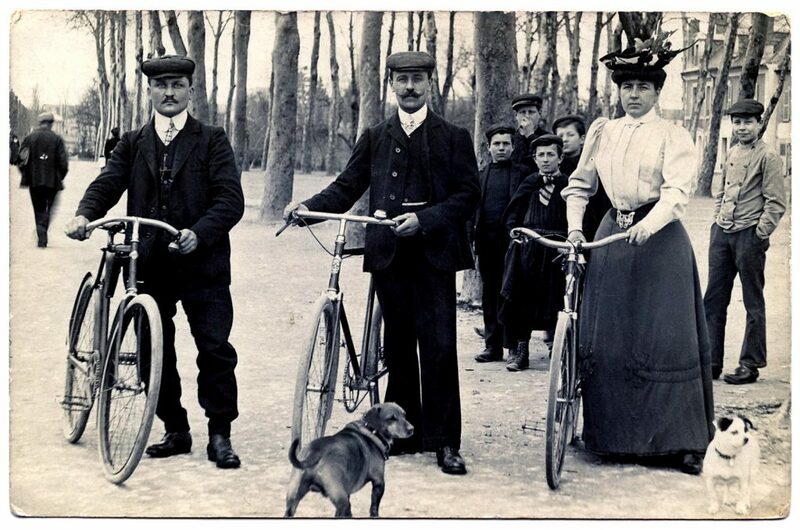 The LibDems and Greens commit to a rolling programme of play equipment renewal. Today marks the start of North Yorkshire Police’s major new recruitment campaign to bring more than 50 Police Community Support Officers into the Force over the next 12 months. Police Community Support Officers (or PCSOs) are paid employees who work alongside warranted Police Officers to keep communities safe. They take part in neighbourhood patrols, help to tackle anti-social behaviour, provide crime prevention advice and support investigations. Whilst many people choose to be a PCSO as a permanent career role, others use the position to gain experience before applying to become a warranted Officer. “PCSOs are a really important part of the policing family because they have a very direct link with communities, and help to solve the problems that can affect peoples’ quality of life. “The increase in the Precept has meant we can boost the number of PCSOs we have in our Force by 20, which is really positive, and will make a significant different to communities. But added to that we also need to recruit to fill vacancies that have arisen from people retiring or moving into warranted Officer roles. Based around the qualities required to succeed in the PCSO role – including communication, people skills, level-headedness, problem-solving and team-work – the campaign encourages people with these abilities to “be a PCSO”. As well as general publicity, North Yorkshire Police will be holding some special workshops aimed at encouraging people from under-represented groups, such as black and minority ethnic communities, to make an application. Anyone interested in joining North Yorkshire Police as a PCSO can visit: www.northyorkshire.police.uk/pcso for information on the role and how to apply. There has been a small reduction in the Council housing stock in recent years. This is the resulted from the central government policy which saw discounts increased for “Right to Buy”. In response the Council has started to build new Council houses and has announced ambitious – by recent standards – plans to build over 600 additional homes. It has also started to buy homes on the open market to add to the rented housing pool. meanwhile the coalition is building on sub-urban playing fields and has made little attempt to find replacement open spaces, sports facilities or parks. Partly as a result of this, the City has an obesity problem. Life expectancy in some poorer wards is now relatively low. Hopefully the new Council will realise that the is more to creating a home than simply bricks and mortar. NB: Only 1 of the 202 Council candidates – who have declared where they live – is a Council tenant. 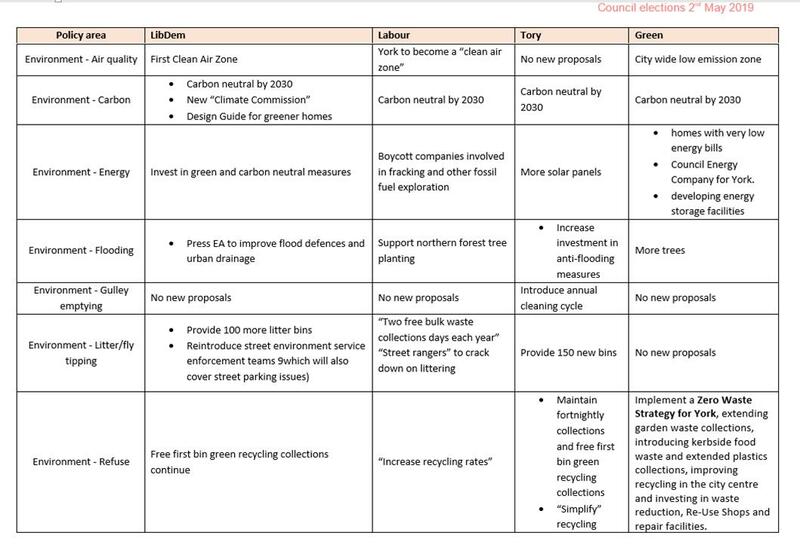 A rare outbreak of unanimity on the 4 parties environment policies. All promise to make York “carbon neutral” by 2030. The temptation to break ranks and go for a 2029 date must have been strong. Most are keen on clean air zones but, like the carbon commitment, are very light on what this would actually mean for residents as they go about their daily lives. The key opportunity to declare the York Central “teardrop” site a ultra low emission zone seems to have passed all the parties by. York’s new Scarborough Bridge will open to the public today (Thursday 18 April) with work on the £4.4m scheme continuing on site for several )more weeks. The new accessible bridge has been delivered in partnership by the West Yorkshire Combined Authority through its £60m CityConnect programme aimed at encouraging more people to cycle and walk, City of York Council, and York, North Yorkshire and East Riding Enterprise Partnership (YNYER EP). It is aimed at boosting access for people travelling by bike or on foot between the train and the city centre. Although the bridge will be open to the public from 3pm on Thursday, work will continue to complete the new steps to the riverside paths and sections of the ramps. The river crossing will remain open to the public throughout these works, but with some minor width restrictions at times, as well as temporary lighting and a temporary handrail. Improvement works include, on the southern side, a new path on the top of the embankment, which will mean people can travel directly between York Station and the new bridge, providing a traffic free scenic route to the city centre. The new bridge will now be accessible even when the River Ouse is in flood. More than 3,000 people crossed the old footbridge daily, despite access issues and this number is expected to rise considerably one the scheme has been completed. The new bridge is constructed of weathering steel – the same as Gateshead’s famour statue, The Angel of the North. The reopening of the bridge has been delayed by a month due to the need for extra piling works in the railway embankments as well as dense fog during one of the weekends a section of the new bridge was due to be lifted in. All parties are keen to drive up wage levels. None can say how a local authority might achieve this worthy aim. Labour make the bogus claim that wage rates are falling in the City (they aren’t, although overtime earnings reduced last year). Some see the way ahead being for the Council to give a monopoly to local suppliers for goods and services. What the knock-on effect on Council Tax levels would be is anyone’s guess. Labour want to slow the York Central project taking it out of the hands of “developers”. Quite where they would get the investment for a pure public sector approach is also anyone’s guess. There are clear choices on a Tourism Tax. Such a Tax could not be introduced unilaterally. It would either require central government facilitation or a voluntary agreement (chickens/Christmas anyone?). The Council has little influence these days on local schools, which are funded directly by central government and have their own independent governing arrangements. Similarly, the Council has little direct influence on policing activities. It could however be stricter with its licensing rules. 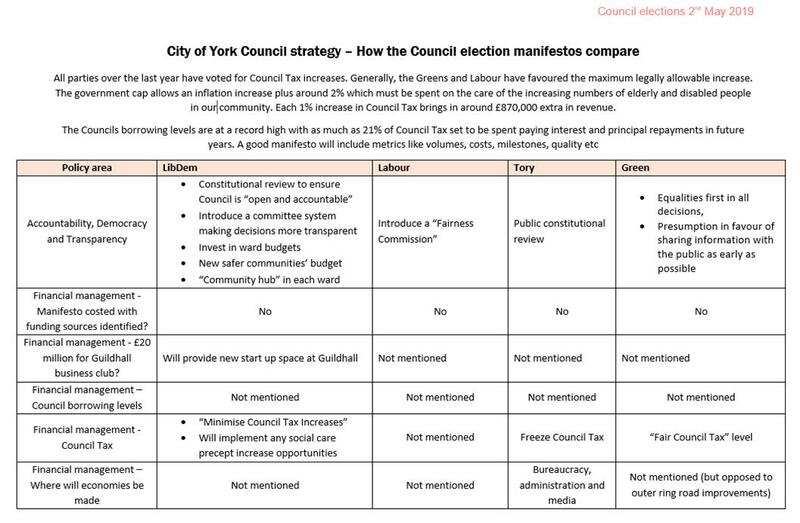 How do the party election manifestos compare in York? 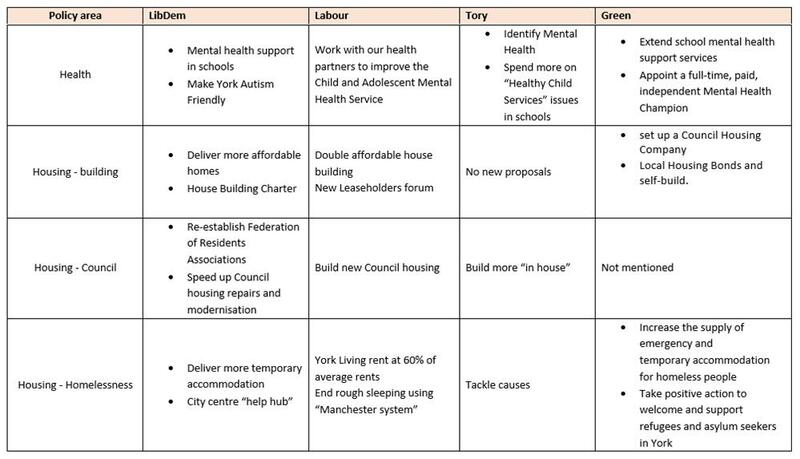 Now that all the parties have published their election manifestos for the Council polls – due on 2nd May – we’ll be looking to see what each party is offering. Usually it is not so much what the party leaders say they will do that attracts interest.Rather it is the issues that they are silent on which cause the most anxiety. There is a certain lack of candour on financial strategy in all four documents. The Tour de Yorkshire will once again return to the regions roads from 2-5 May. 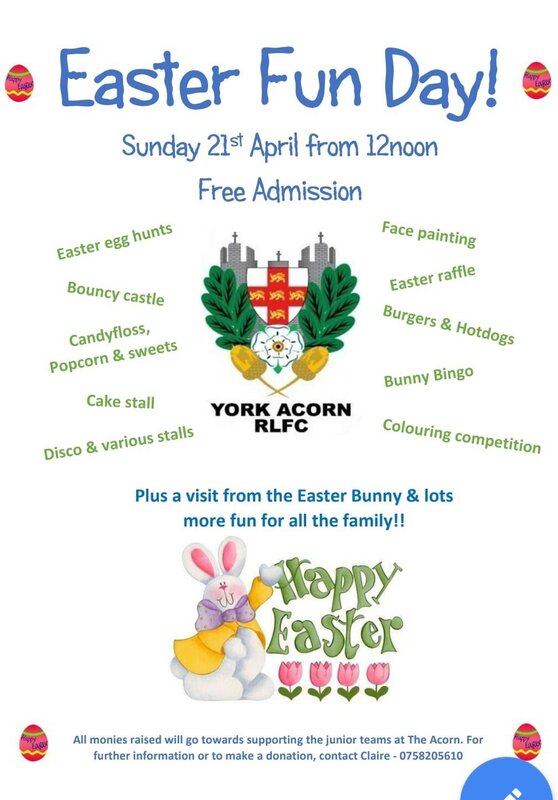 The first stage, taking riders on a fast and flat route from Doncaster to Selby passes through several villages on the outskirts of York, including Elvington, Wheldrake and Escrick in the late afternoon on Thursday 2 May. To ensure the safety of spectators and riders alike there will be a rolling road closure for most of the race route, this will be managed by the police. This means that the traffic will be stopped at any given point between 10 and 30 minutes ahead of the first cyclist. When the race, and all the official and team vehicles, have passed the roads will reopen again. The last vehicle in the race group is a lorry with screens on both sides telling people watching that the roads are open again. Typically the closure is in place for between 20 and 50 minutes depending on the severity of the stage, how far into the stage the race is and the weather. It’s expected that the race will reach Elvington at approximately 4.46pm, Wheldrake at 4.53pm and Escrick at 5pm. The route joins the A19 at Escrick and turns off again to Stillingfleet. 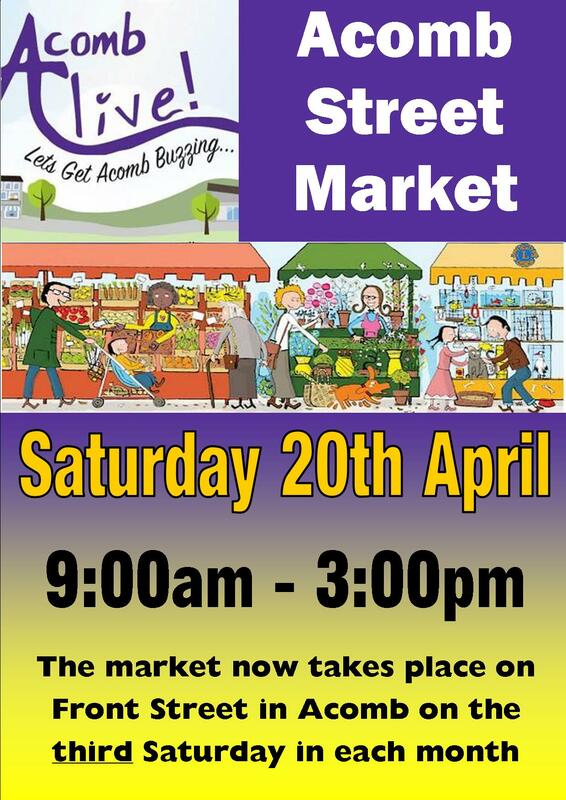 This will mean that the A19 will be closed whilst the race passes through the area affecting travellers. Bus routes 18, 36, X36, 42, 45, 46, X46 and 415 will all continue to operate, but will be delayed as a result of the race. It is anticipated that the closures and additional race traffic will cause delays in the area. Motorists are advised to plan their journeys to avoid the route during the race period if possible. Pedestrian access will be available to polling stations throughout the period. Voters in the wards affected have been notified of the access restrictions.